Our first interview in Washington state was today with Chris Camarda, the winemaker/owner of Andrew Will Winery. We met and interviewed with Chris at the Pike Place Market Walkabout in Seattle, WA. We were lucky to meet such an informative character. If Andy Warhol was ever a winemaker, this is the man. At first sight that is who he reminded me of. Chris Camarda is someone to take seriously though even if his outward appearance is eccentric. He was indeed an interesting presence from his wrinkled sports coat, to his animated facial expressions and hand movements. Visually you could see that Chris was feeding off the energy/vibe of the busy marketplace. This made for a great interview. 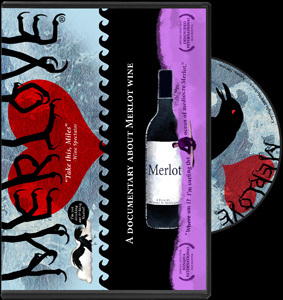 We received an entirely fresh perspective into the Merlot wine world of Washington state. FYI = Wine & Spirits Fall 2004 magazine stated Chris Camarda as one of the 50 most influential winemakers in the world.